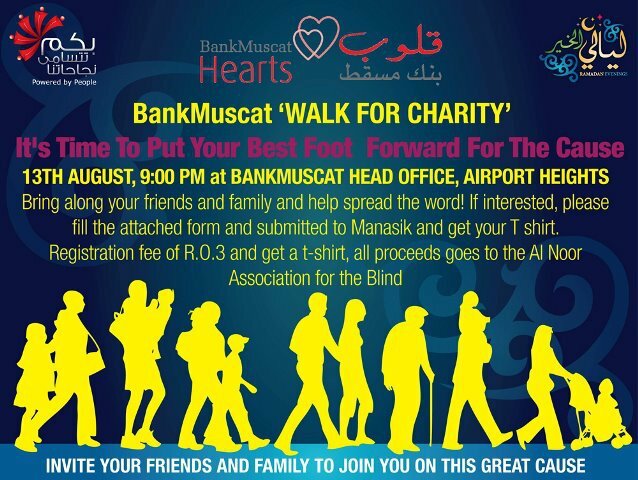 Tonight, from 9pm, Bank Muscat are hosting a charity walk for the Al Noor Association for the Blind. 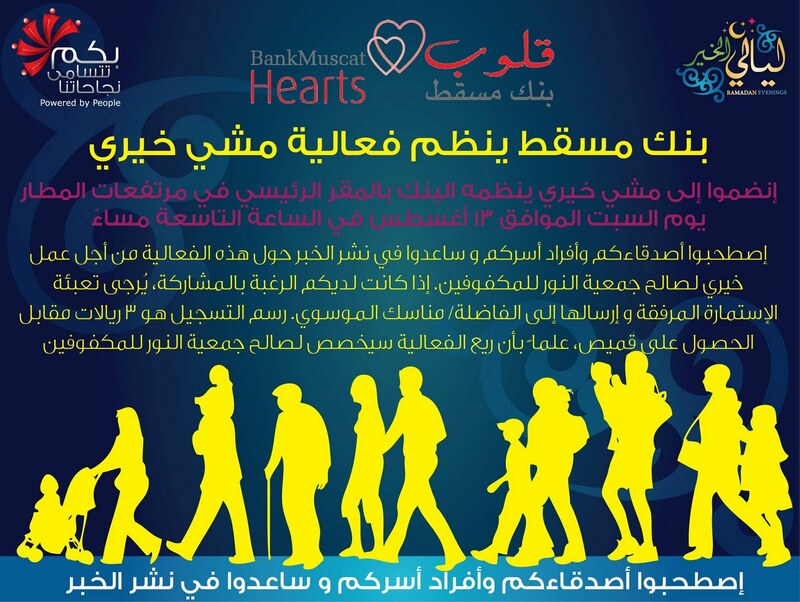 The walk starts at the Bank Muscat HQ building in Airport Heights out near Ghala, and it is RO 3.000 to register for the walk. I understand you get a t-shirt and some other things when you register but I don't really know. 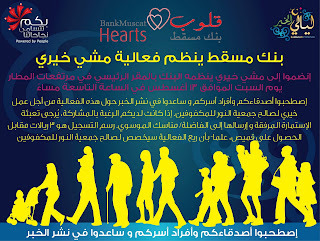 Most of the information I've found on this has been in Arabic so I'm hoping someone that knows more can post a comment to give more information on this. I found a Facebook group, EnVent that is promoting the event here.